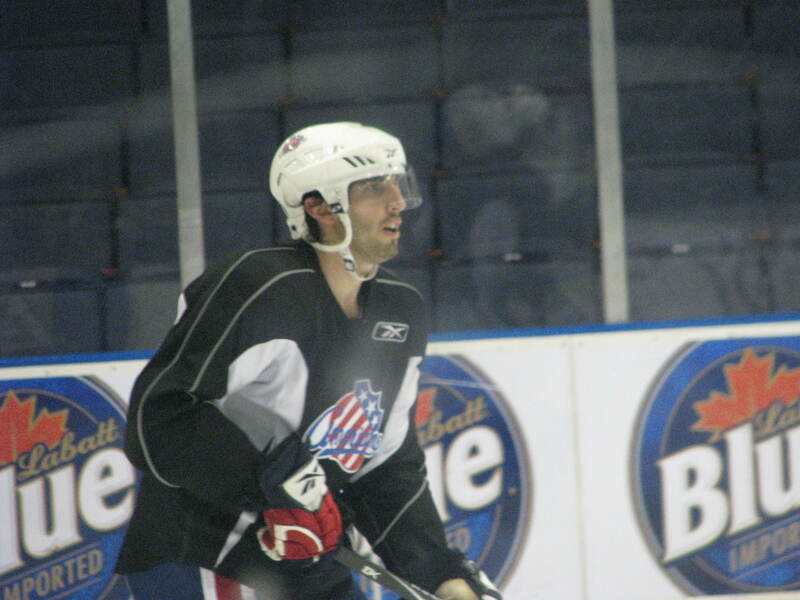 Practice 11-13-2008: Happy Birthday Jason Garrison · Let's Go Amerks! It’s Jason Garrison’s 24th birthday today…so, happy birthday to him. He was also named the Morgan Stanley Player of the Month for October yesterday. So, congratulations and happy birthday. Stefan Meyer, Tanner Glass and Mike Caruso are all on the ice practicing today. Whatever was ailing Meyer yesterday seems to have healed itself fairly quickly. Glass and Caruso were both suffering from shoulder injuries but, are back today and will be playing this weekend. Kenndal McArdle is not practicing today. He was sick today…so, no injury and that’s good. Luke Beaverson is back in black. He is practicing as a defenseman again. So, the experiment is over, unless they just needed another forward yesterday with Glass out. And that was exactly it. He was just filling in while there were injuries. Caruso seems to be feeling just fine. His shots are hitting their mark and he doesn’t look like he is in any pain while taking them. I’m glad to see him back. He is a good defenseman who should definitely be on this roster. They are really hitting each other today. I don’t think there is any way Benoit can give them the business for being soft today. I’m not saying he doesn’t have a reason to usually, because he does, but not today. Beat the heck out of each other guys. Jason Cipolla was just working one-on-one with Shawn Matthias. I couldn’t make out what they were talking about…but, I like to see the younger players worked with individually. They all need all the help they can get. 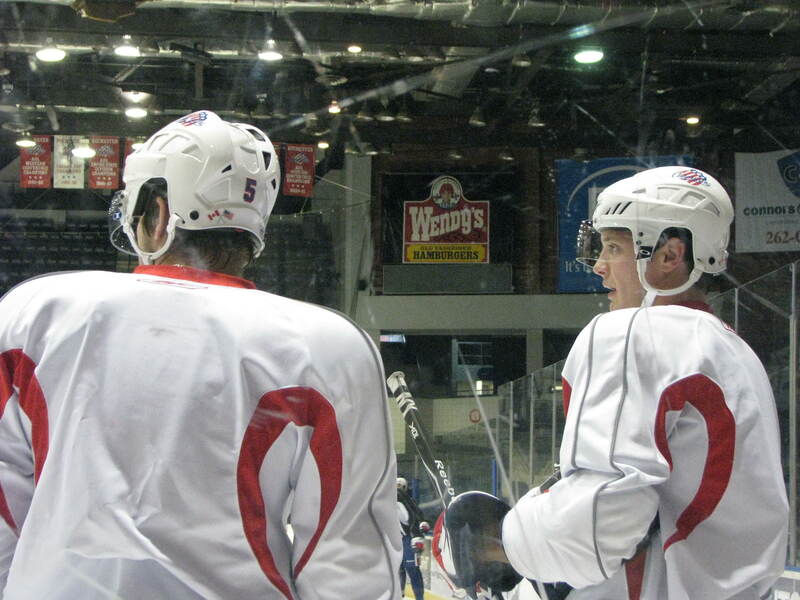 After practice, Benoit was asked about calling David Shantz up to the Amerks. He said the coaches told the players that after the first month, if things weren’t going well, they were going to make changes. They talked with management and decided to bring up Shantz and get rid of O’Brien. If those are the only changes they are going to make (and Shantz isn’t even starting tomorrow), that is nothing. And it is ridiculous to think that just getting rid of two players is going to make things better. How does that even do anything??? I don’t even know what to say anymore.